Leema Acoustics Elements Streamer boasts hi-res playback and bountiful features | What Hi-Fi? 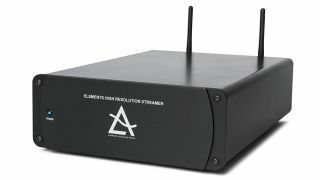 Leema Acoustics has launched its new high-resolution Elements Streamer, available from today with a £1295 price tag. Hand-made in the company’s Welshpool factory in Powys, the diminutive network streamer was shown as a prototype at the Sound & Vision Show in Bristol earlier this year, and is based on the same high-performance streaming module in Leema’s Quasar amplifier (£2955). It adds a high-performance ESS 9018 Sabre DAC, with ESS-patented 32-bit Hyperstreamä DAC architecture and proprietary Time Domain Jitter Eliminator technology, which Leema says will eliminate input-clock jitter for unmatched clarity when streaming. As well as being able to pull music from any phones, tablets, computers or NAS drives on your home network, the Elements Streamer has built-in support for a host of major streaming services including Tidal, Deezer, Qobuz and vTuner radio. Spotify Connect is also supported, along with file playback from Dropbox and Microsoft OneDrive. A peek around the back also shows Leema’s inclusion of a USB input, alongside the Elements Streamer’s balanced and unbalanced, optical and coaxial digital outputs. Twin wi-fi antennas aid the unit’s signal stability, while of course there is an ethernet socket for wired connection to your network. Available worldwide from this morning, the Elements Streamer will likely be making an appearance in our test rooms soon, at which point we’ll offer our full verdict.